Oakville Steakhouse offers classic steakhouse selections with a Napa Valley-inspired infusion. Located on the Strip in the newly rejuvenated classic hotel of the Tropicana, Oakville offers a wide range of wines and delectable menu fare including South African lobster tail & smoked duck breast. 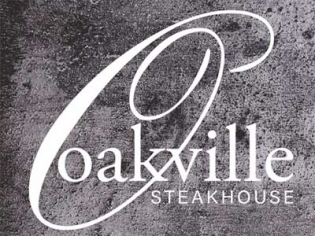 A serene atmosphere for a romantic dinner or business meeting complimented by an attentive wait staff, Oakville’s top choice steak selections will delight your inner carnivore. Try the the dry-aged 14 ounce New York strip or 16 ounce ribeye. If you want to impress your dinner date, order the chateaubriand meant for two.